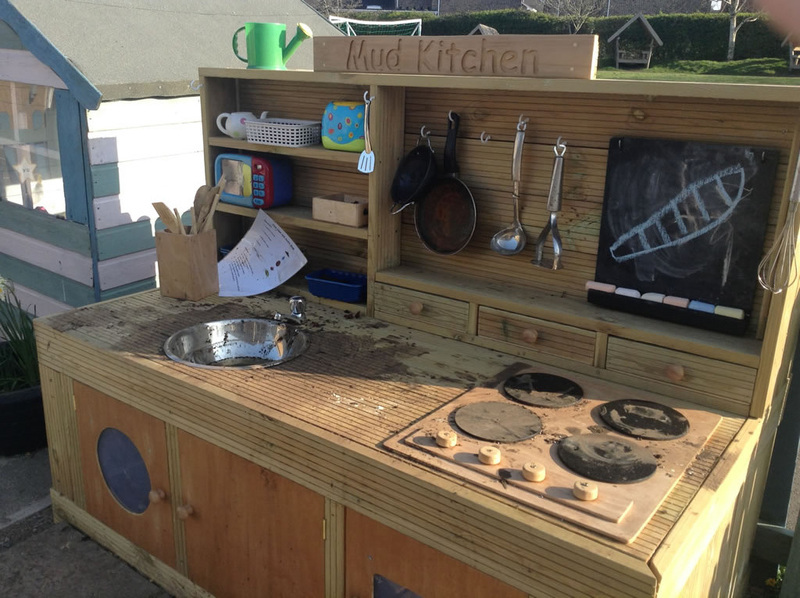 St George's School - Ducklings’ Mud Kitchen is Open for Business! 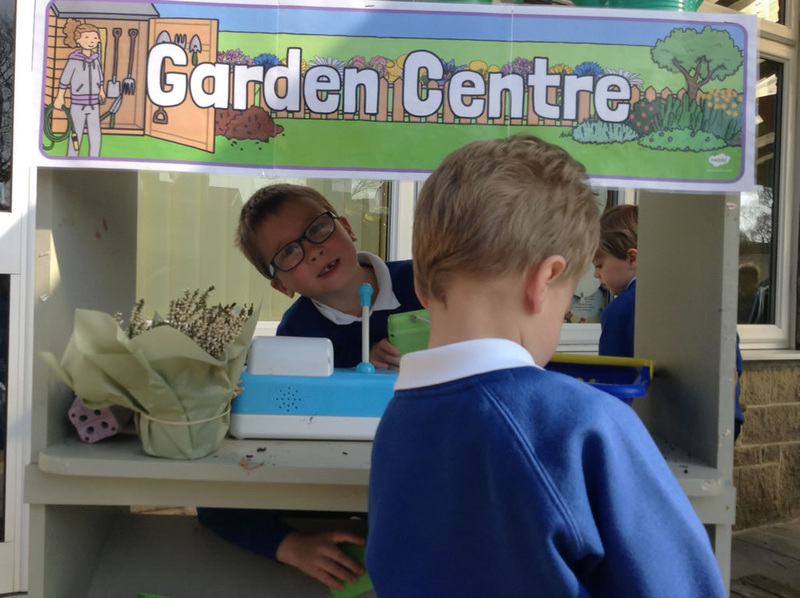 Ducklings’ Mud Kitchen is Open for Business! 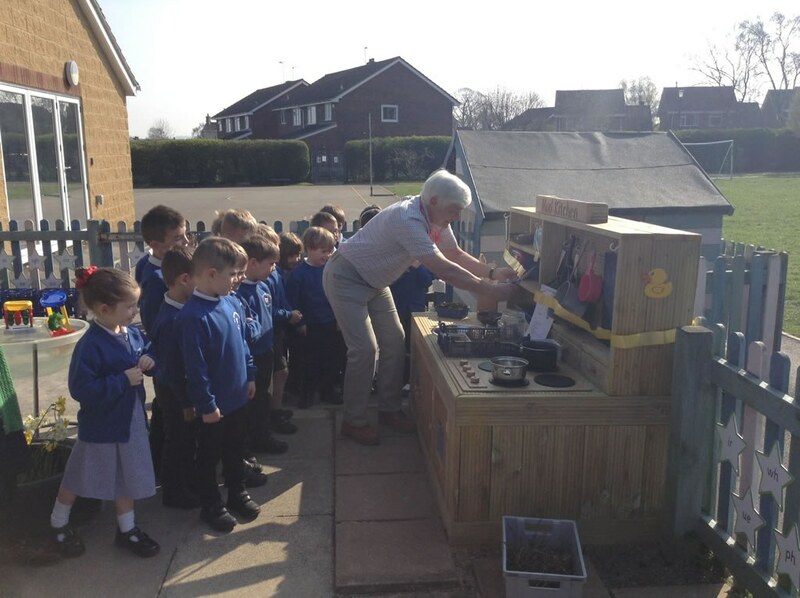 After a great deal of hard work by Grandad Ken, Ducklings Class are now the very proud owners of the most amazing mud kitchen – it even has a working tap! 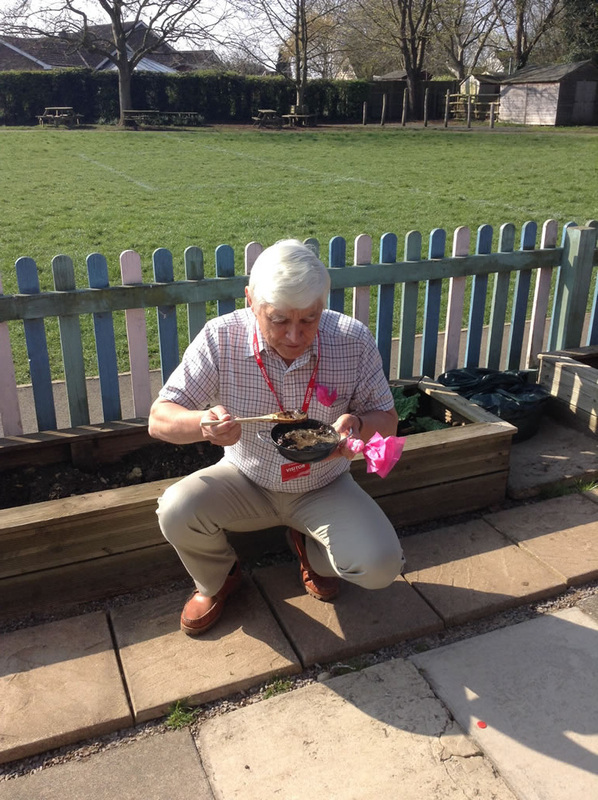 Last week, we had an opening ceremony where Ken was our guest of honour and he came to cut the ribbon and declare the kitchen open for business. 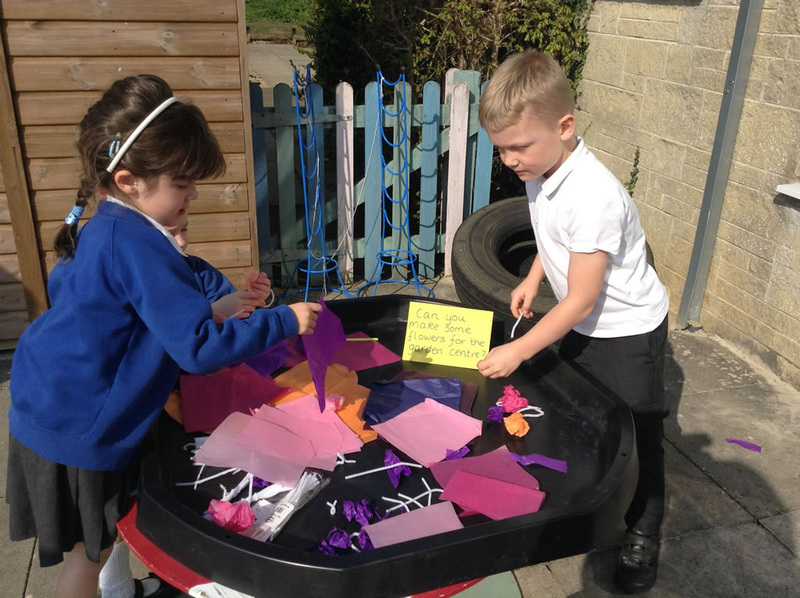 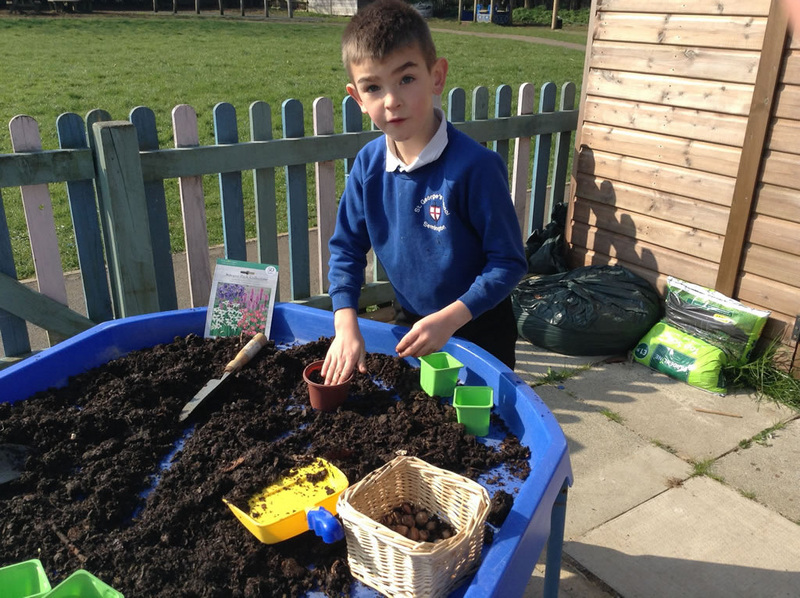 The children have already had great fun making Pinecone and Acorn Soup – yum!